It’s that wonderful time of the day again when you are presented with an opportunity to become the proud owner of some wonderful technology and tech-based accessories for a fraction of the original cost. Act quickly before they’re all snapped up. 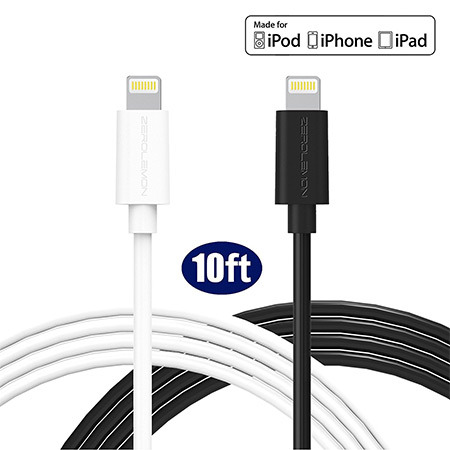 Our today’s ‘tech deals of the day’ package starts with something that may not be as exciting, but will serve you well every day; a 2-pack extra long 10ft MFi Lightning cable for iOS devices costing just $15. 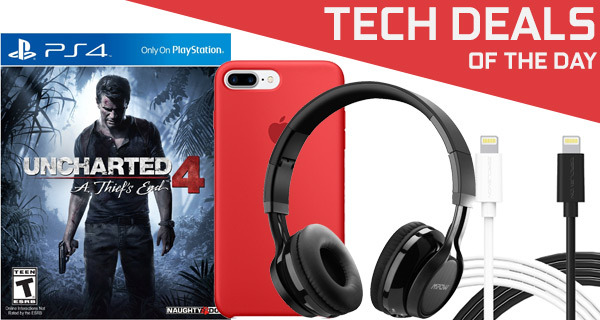 Next up we have is a $19 Bluetooth wireless headphones, followed by the amazing Uncharted 4 game for the PS4. Last but not the least is a little something to keep your shiny new iPhone 7 Plus protected; the official Apple Silicon Case, and that too in multiple colors – at discounted price. As always is the case, all the offers listed here are time sensitive, or subject to stock levels, which means that if there is a product in here that you have your heart set on, you need to act fast before the offers expire. So what are you waiting for? Enjoy the savings! Anyone with an iPhone or iPad ownership experience can attest to the fact that Apple doesn’t exactly ply all of its engineering might and expertise into the production of durable Lightning cables. In fact, owners are lucky if they get a full twelve months out of the supplied cable. Thankfully that’s where third-party accessory manufacturers come in, like ZeroLemon, offering a 2-pack of 10ft extra long Lightning cables, complete with a strong build quality and reliability. Best of all, you can grab the cable pack for as little as $15 using the following promo code at checkout: J5WSFAHZ. This deal right here is a living proof that you don’t always need to spend hundreds of dollars to get a highly performant set of headphones. 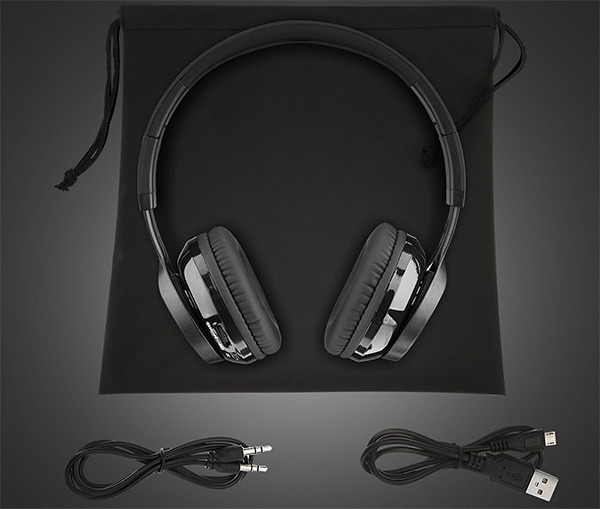 Sure, you can spend that type of money if you like, but here you can part with much less, and still get a set of nicely designed headphones, built with Bluetooth for wireless streaming of music, and a comfortable wearing experience. You can get these wireless headphones for just $19 using the following promo code at checkout: 6H7GHGHG. 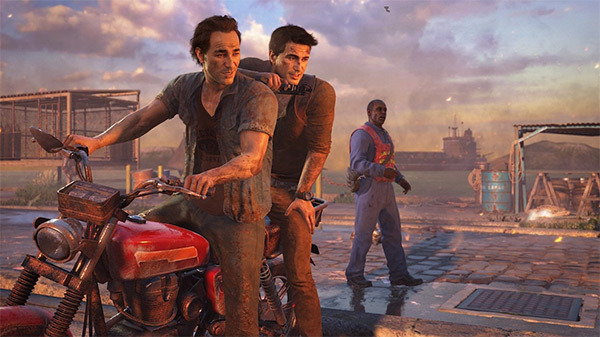 If you have been a fan of the Uncharted franchise, then you are really going to want to carry on this story set four years after the last adventure. Once again Nathan Drake has his destiny taken out of his own hands as he is thrust back into the world of thieves on a personal mission which sees him trot across the globe trying to solve a historical conspiracy focused in pirate treasure. It is not that often that we actually see official Apple products or accessories reduced to anything lower than the retail price, so when you do, it’s time to grab them with both hands and welcome them into your life. This official Apple Silicone Case has been designed for iPhone 7 Plus, and will provide instant protection from knocks, bumps, scrapes and falls. It’s an expensive and cherished device, so you really need to be protecting it.